It's Day 3 (and last) over Fresh Squeezed Stamps for the new release! Have you checked them out yet? Here are the links to Day 1 and Day 2. This set called "Holiday Tag Alongs" is super fun to use with making labels and tags! Here I made a loaf of Banana Chip Bread and I think I am going to mass produce them and give them to all my neighbors! Here is my Banana Chip Bread recipe that I used. It's from a local Canadian cook book. I made it numerous time and it never fails me! Mix wet ingredients, then add to mixed dry ingredients. Transfer to a 9x5x3 inch loaf pan. Bake in 350F (180 C) in preheat oven for 50-60 mins ( or test with a toothpick and see if it comes out clean). ENJOY! Be sure to stop by at Fresh Squeezed Stamps and enter a comment for a chance to win this stamp set! Thanks so much for stopping by! This is my 2nd post today. For the Fresh Squeezed Stamps new release, please scroll down or click here. Hello! It's my blog day over CAS-ual Fridays Stamps Blog ! 1. I applied various Distressed Inks over part of the Chevron stencil (by Studio Calico) to create an unique background. 2. To create more visual interests, I added the distressed chipboard and faux stitching. 3. The bold sentiment from Bold Wishes is perfect with this. 4. Stamp the sentiment in light and darker shades of inks to create a bigger impact! Special features: Add that Midas touch (gold!!) into your Thanksgiving card/tag! Supplies: Amber Waves , Oval Tag Die , pattern paper (American Crafts), smooth gold embossing powder (Michael's), ribbons and twines, gold card stock, oval die cut (Spellbinders). Please leave me your comment/feedback over CAS-ual Fridays Stamps.The comment feature in this post has been turned off. I sincerely thank you for stopping by to check my projects out! You are going to love this set " Inside Scoop: Holiday" because it makes holiday card-making SO MUCH EASIER! The sentiment is meant for inside the card, but you can totally use it for card front as I did here in the following card. Imagine you can just mass produce sets and sets of cards without worrying about what to say/write....? Please go check out the new cards from my fellow design team mates! AND be sure to leave a comment over Fresh Squeezed Stamps for a chance to win yourself some new stamps! It's a busy day here in my blog. My CAS-ual Fridays Stamp Blog post is coming right up next! See ya! I applied paint splatter and then used water color pen to make the messy background. Then, I stamped the sentiment and cut it out. I then distressed the edges...as you can see, it is FUN! I hope you take some time to check out the new cards from my fellow design team mates! AND be sure to leave a comment over Fresh Squeezed Stamps!for a chance to win yourself some new stamps! 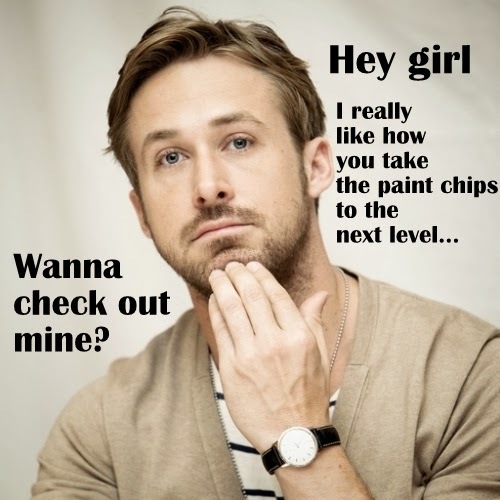 I hope that you are not tired of my paint chip card. Because I am sharing another one today! I treated the paint chip as the regular card stock and came up with this design. The subtle lines from the die cut daisies enhances design in a very interesting and subtle way. Hope you like it...because I have more (card with paint chips) to share! Tomorrow is the start of the Fresh Squeezed Stamp's new release! I can't wait to share my projects with you! Thanks for stopping by! 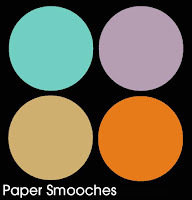 I am joining the fun over Paper Smooches Sparks Challenge and doing the last minute entry. With some stamping and water-coloring, this card is done! Note: the "Virginia Gives Thanks" Giveaway winner has been announced, you can check it out here. Happy Sunday! Winner of the "Virginia Give Thanks" Giveaway! Congratulations to #62 Helen F.
Please e-mail me, Helen, I will send the prize out to you ASAP! Thank you so much to those who enter the giveaway! Your kind comments and positive feedback are important to me. Enjoy the fall photos that I took in my yard/neighborhood! 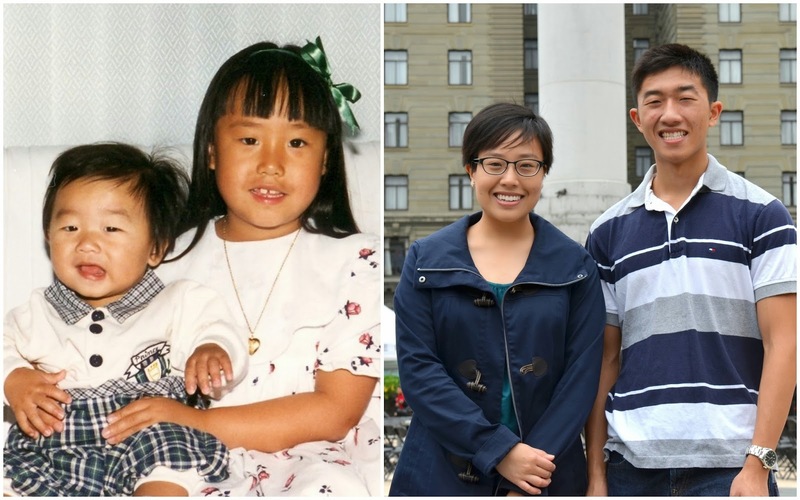 let's celebrate...and thoughts on raising kids! Hello! Today's post is another one about using paint chips. As you may know already, using paint chips is my latest obsession! With the gradient effect (that a paint chip gives), you can easily create a little "masterpiece"! Seriously, all the colors are matched up for you, what can be easier? Supplies: Party Dots ( Neat And Tangled Stamps), Navy Mid tone ink, Soft Pool (Hero Arts), Paint chips from Wal-mart, Gold embossing Powder (fine, from Michael's) sequins (Michael's). 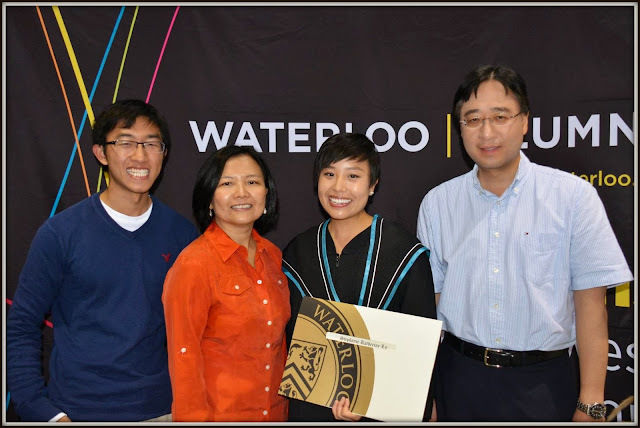 On a personal note, we are in a celebratory mood as my daughter Stephanie just received her Master's degree in Public Health at the University of Waterloo yesterday. She is continuing to do her PhD program at the same university. We are so proud of her achievement and determination. Besides being busy with her studies, Stephanie and a friend started the university mental health awareness program called "Stand up to Stigma" two years ago. This on-going campaign has received overwhelmingly positive support from the university and local community! 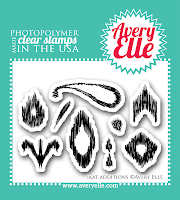 Thanks to my sweet friend Piali, I am recently gifted with a darling stamp set from Avery Elle. The sketch challenge prompted me to create a card from this set called "Ikat Additions"
Here is my Christmas card with non-traditional colors. I used Avery Elle's logo colors as my inspiration for the design. I used a circle diecut as a template and stamped around the circle, added a bow, Stickles and sentiment stickers from SRM--done! And notice the pine cones in the photo? They were picked from the yard and painted with Tim Holtz Distress Paint (Picket Fence). A super simple DIY things to do! Hello! I hope October is going well for you! Time for me to share one of my paint chip cards! Since the shades of this colors are so gorgeous, I felt that I didn't want to stamp on them. So I utilized my die cut from Spellbinders to cut out a few shapes and arranged them in the most pleasing way as best as I could. I used the entire paint swatch to make this card. The faux stitching is from SRM Stickers and the sentiment is from Happy Hexagons (Fresh Squeezed Stamps). There is still time to enter the giveaway (see the right side bar at the top)! If you missed my first post about my trip to Chicago, please click here. Today is Part 2! 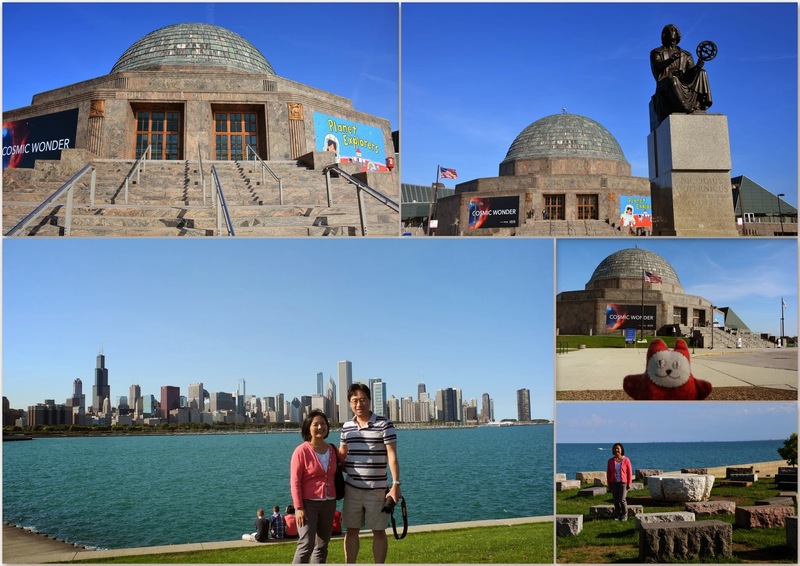 The lake area near the planetarium is absolutely breath-taking! Sometimes the best views/sights are FREE! This surely is the case with the Museum Campus. Since we had limited time, we only walked around the museums. However, that didn't stop me from getting a hot dog-Chicago Style! 7. 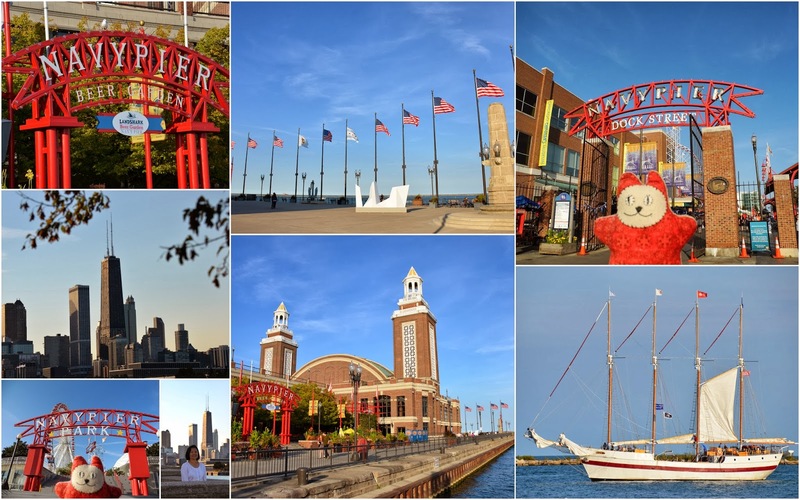 Navy Pier: We had fun exploring the pier and enjoyed our dinner at Bubba Gump. It was so relaxing and scenic. Dr. John had lots of fun taking photos of the yachts, ships and skyline! 8. 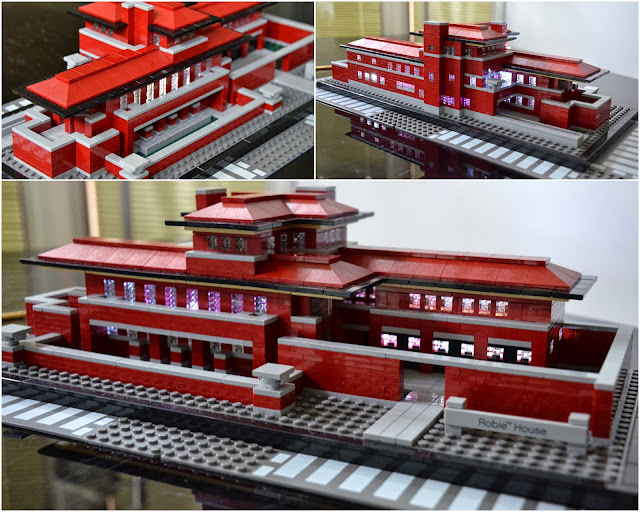 Robie House: Before our trip, Dr. John already built the Lego Robie House and was familiar with the setting and layout...so of course, when you set foot in Chicago, Robie House was a must-stop for us. 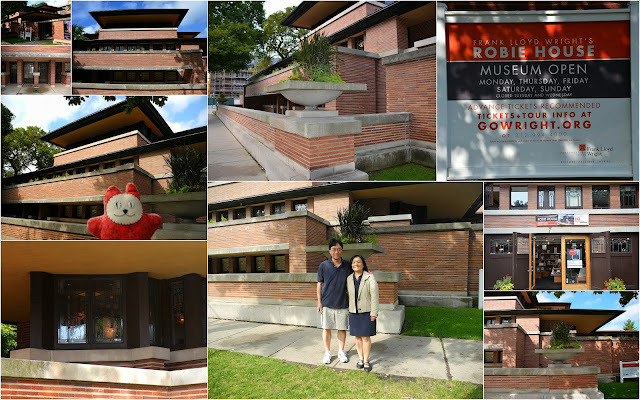 We booked a tour of the Robie House. It's so neat to finally see this house up close and we had fun touring inside the house. However, photography was not allowed inside, thus, no interior photos to show you here! 9. University of Chicago: After touring the Robie House, we walked to the campus and visited two places right in the University of Chicago. I wish we had more time (and energy) to explore the campus grounds. 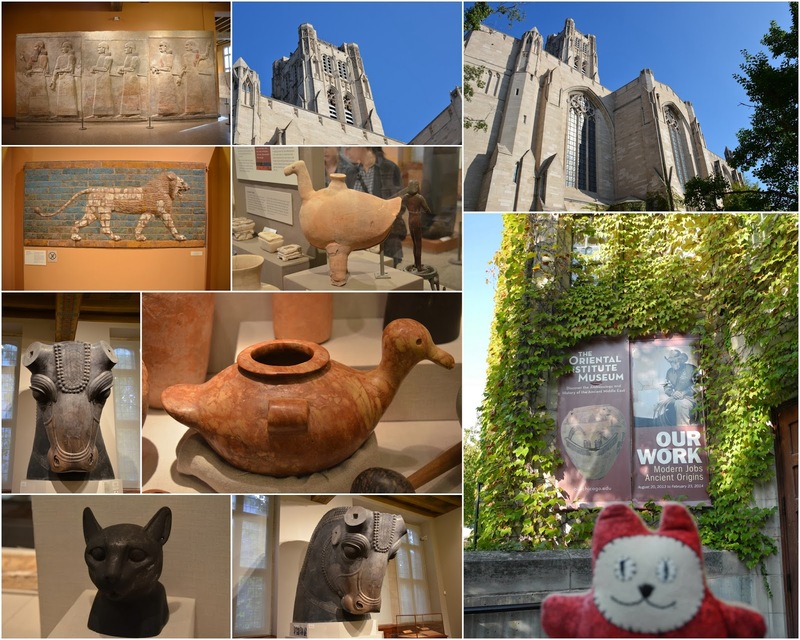 It is indeed a beautiful campus and the museums are FREE to visit! and Smart Museum of Art. 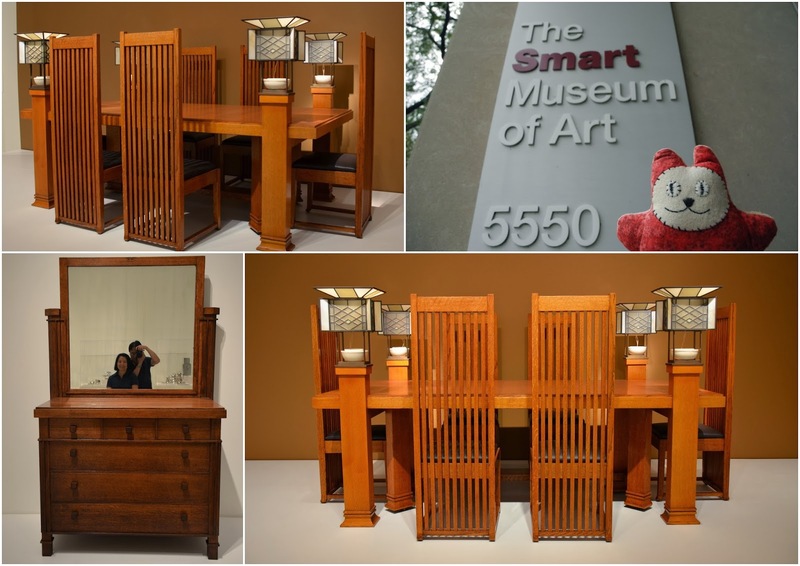 Frank Lloyd Wright's designed dining table and chairs for Robie House are on display here. 10. 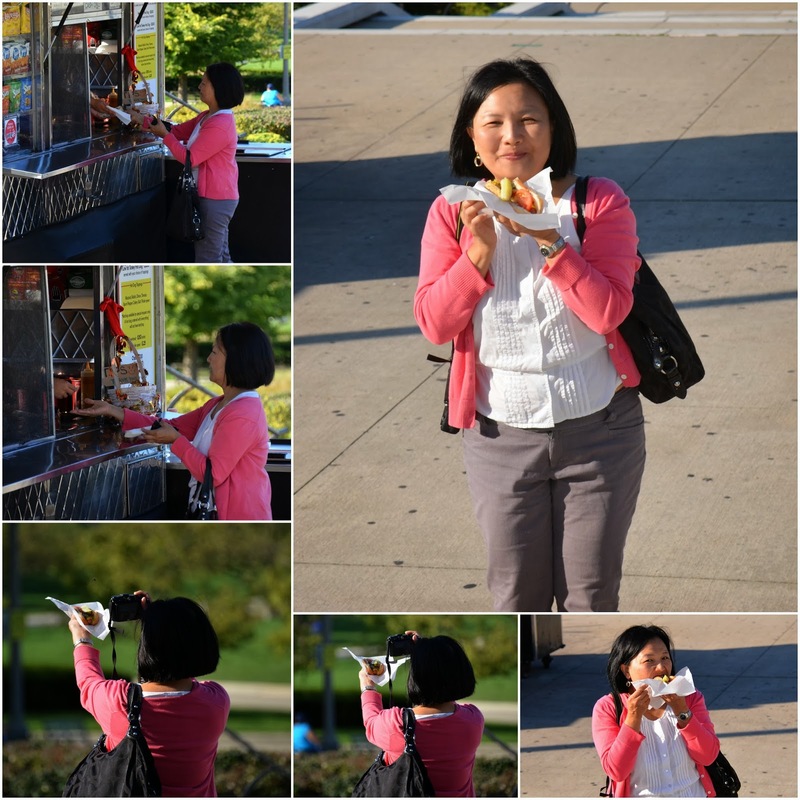 Food: From the very fine cuisine ( Cafe des Architectes) to the street food (Hot Dog Chicago style), we loved them all! well, there is no ketchup in the Chicago style hot dogs! The Chicagoans deemed that ketchup is simply not acceptable! It did take me quite a few hours to prepare these posts about Chicago. Knowing that many of you enjoy my travel posts, I am all the more encouraged to make sure that you enjoy traveling through our lenses! I am excited about our NEXT destination and will certainly SHARE my trips with you in the near future! I hope you enjoy the little Chicago tour as much as we did. Thanks for stopping by! Welcome to my Monday's Fresh Squeezed Stamps post! This set called "Paper, Scissors, Ink" is perfect for creating any crafty project! With some inked colors and embellishments, this card was so fun to create. With the masking of the stamp, I stamped the image in three colors! After that, it was all about adding the little touches/embellishments. I purposely chose bits and pieces of colors and elements to compliment this design. Have you entered the "Virginia Gives Thanks" giveaway? Please leave me your feedback/comments over Fresh Squeezed Stamps. To save your precious time, the comment feature in this post has been turned off. Thanks for stopping by! 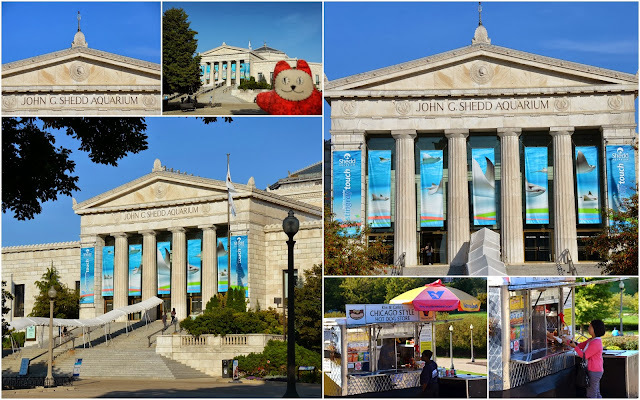 Behind the Scenes of Our Chicago Trip! Happy Sunday, my friends! Thank you for taking the time to enter/comment on my "Virginia's Gives Thanks" post. If you haven't entered yet, please check out the right side bar! Now where is Dr. John....? Hope this post makes you smile! Thanks for stopping by! A giveaway--details at the end of this post! As a stamper, I often try to save my craft money to buy new stamps, inks and card stock. The ornate and beautiful ready-made embellishments seem like a luxury item to me. I do buy them when I find the embellishments inspiring. Let's just say, I buy them when I want to copy/duplicate the ideas and design! Well, lucky for me! The new stash from the Gallery Idol prize came with some beautiful ready-made embellishments (new TOYS!!). Today I am putting some into use! Important: Did you know that Fresh Squeezed Stamps is the sponsor for City Crafter's Challenge? Yes, you can win a set of FSS just by playing! The theme is "Give Thanks". How easy is that? Go and create! 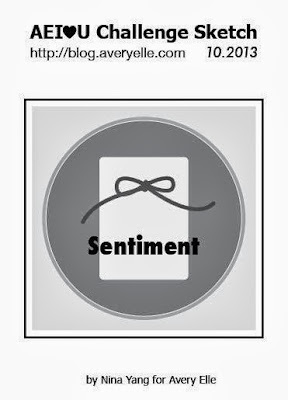 Thank you for tirelessly commenting on my blog and visiting me here. I have a little thank you gift for one of my blog followers. Go ahead, add the link (Use the following Inlinkz --> one link per follower) and...spread the word, too! Edited on Oct. 27 : winner of this giveaway is announced here. 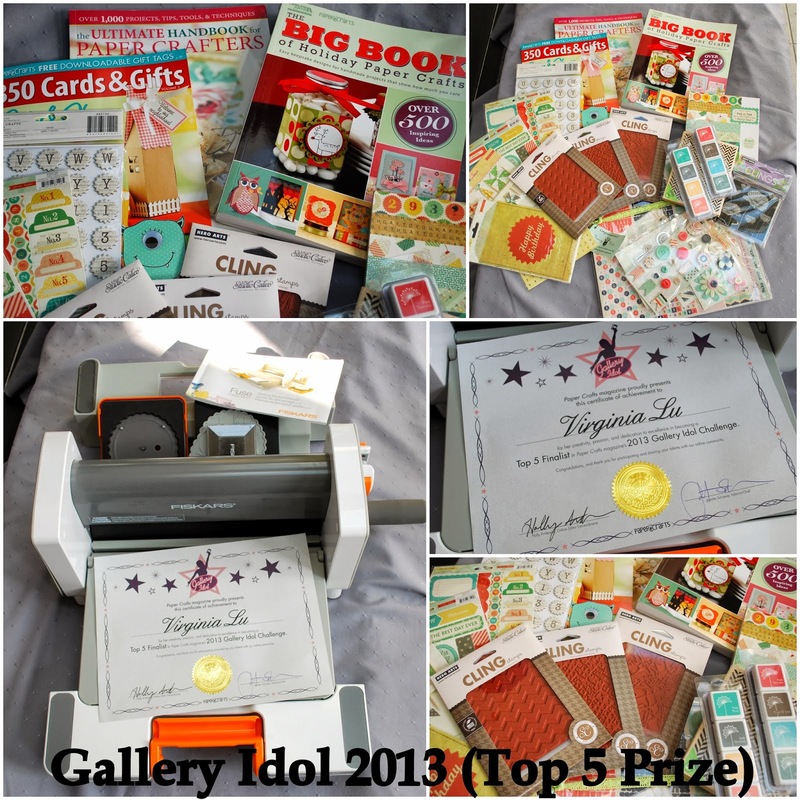 Washi Tape and Stamping...AND Gallery Idol Prize! Happy Thursday, my friends! 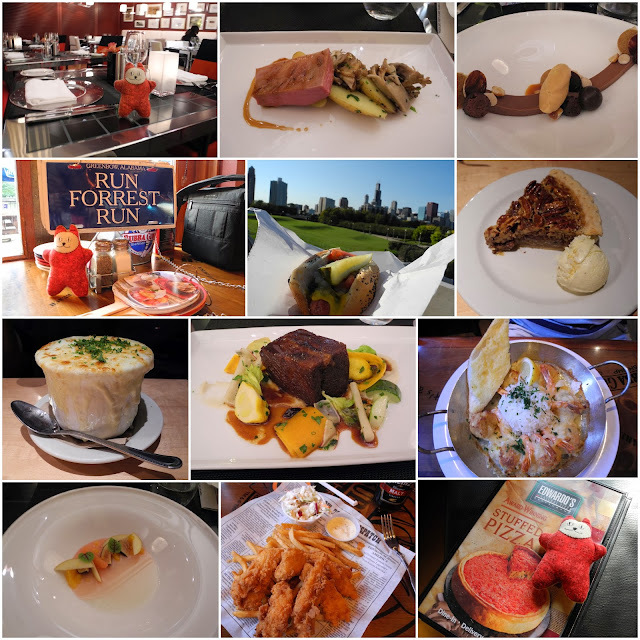 If you missed my Chicago post from yesterday (part 1), please click here. I had made this card a while ago and thought it's perfect to share today! First I stamped and masked cake images and then I added the mix of Washi Tape. It is sort of funky and neutral! I think it will be perfect for any gender and age. I am entering this to Moxie Fab World's Sticker & Tape Challenge. Lastly, here are some exciting happenings at my house. Over the (Canadian) Thanksgiving weekend, I picked up my Gallery Idol prize from my in-laws. I am so blessed to be getting the Gallery Idol prize this past weekend. Since I live in Canada...it takes a little longer. Thank you, Paper Crafts Magazine for giving us card-makers some amazing opportunities to create and offering such generous prizes!! Big thanks to the sponsors (Fiskars, Hero Arts, Fancy Pants, American Crafts, Crate Paper...). I truly hope this tradition continues! I am still overwhelmed...thank you, thank you!! Memories from Chicago (Part 1)! 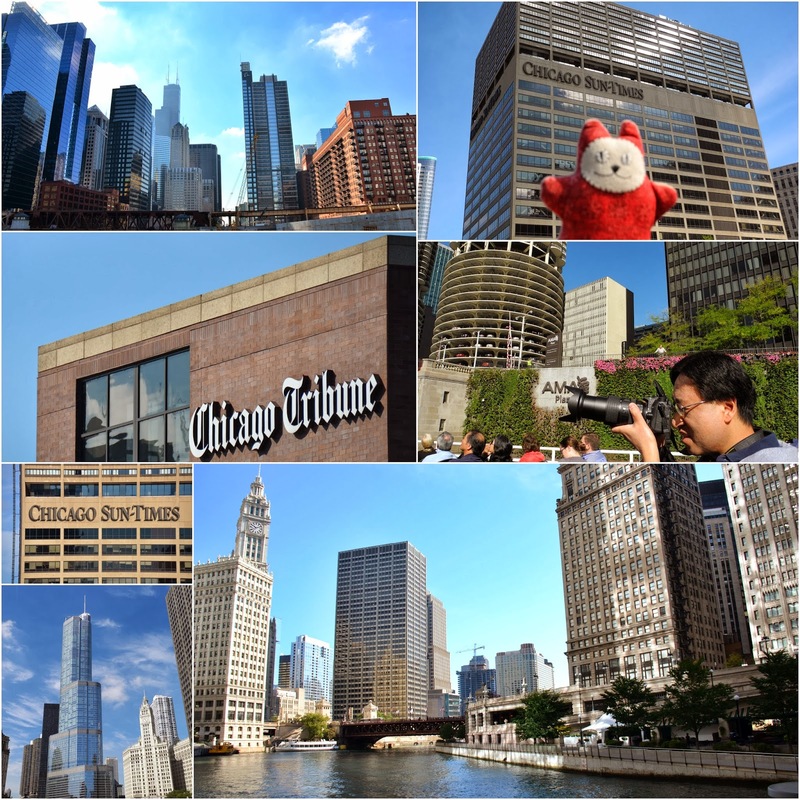 I have been busy with my DT work and almost missed posting the photos from my Chicago trip. Can you believe that Dr. John and I took hundreds of photos!? 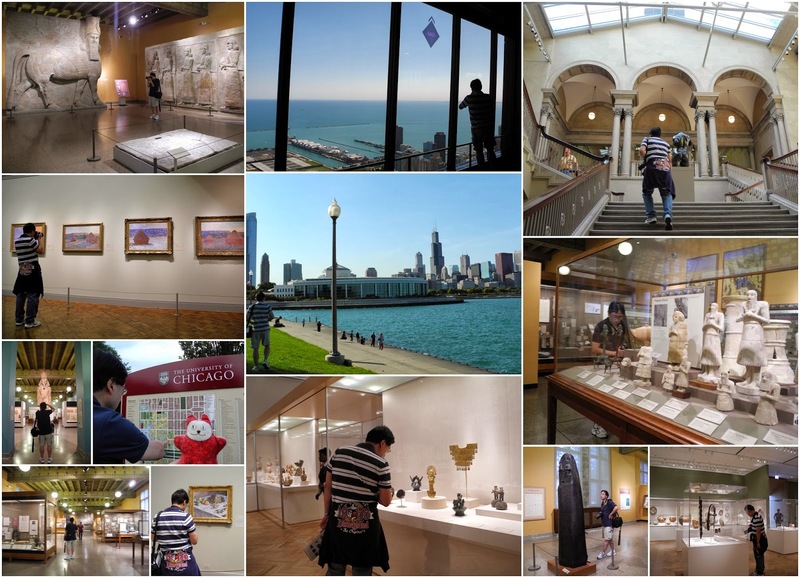 With the amazing skyline of Chicago and several museum visits, it was too easy to snap this number of photos! 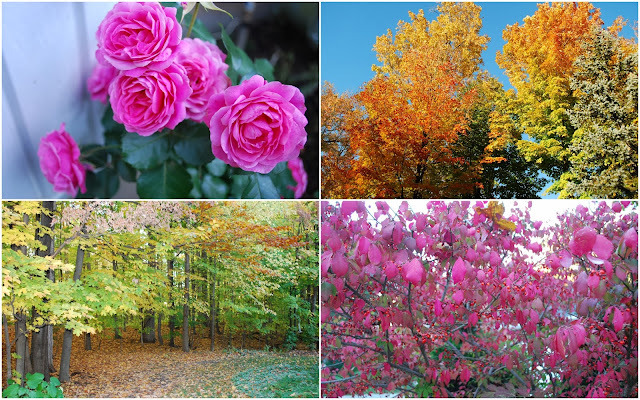 To keep the post simple, I narrowed them down to Top 10 favorites divided into two blog posts. Today's post is part 1. 1. Architecture River Cruise: Chicago is the home of modern skyscrapers. So the first touristy thing we did was the Architecture River Cruise.We got a panoramic view of Chicago's magnificent skyline with a detailed guided tour. The one and a half hour boat tour gave us a comprehensive look of the skyscrapers in the city. 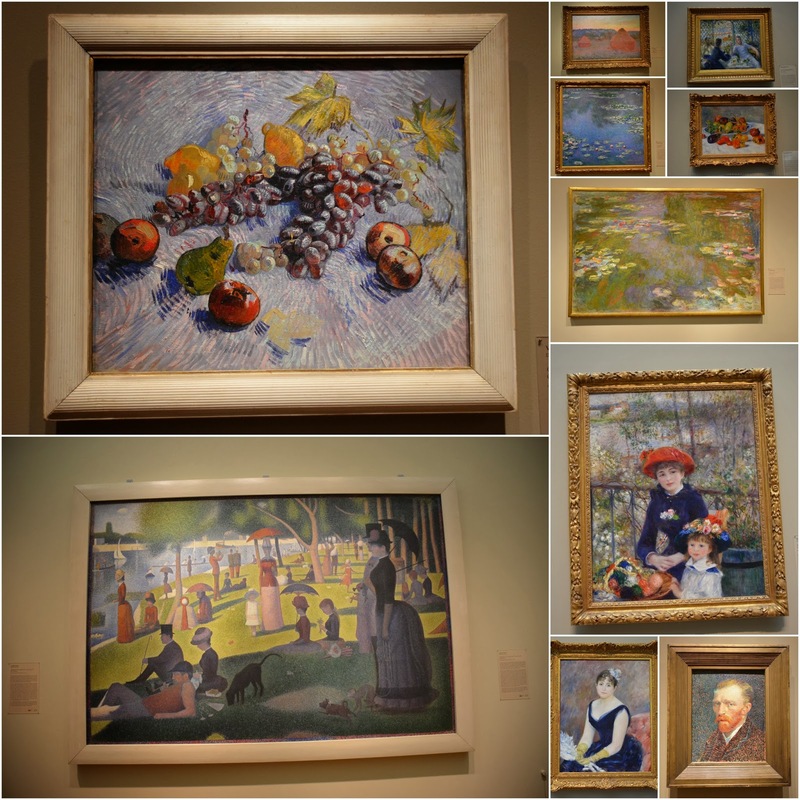 What lured us in was the best American collection of Impressionist and Post-impressionist art. This iconic American Gothic was also on display! It is one of the most familiar images in 20th century American art and has been widely parodied within American pop culture. 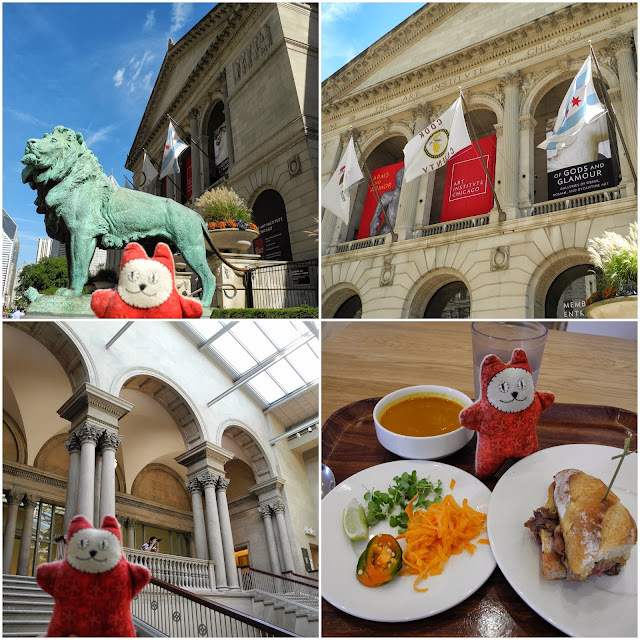 Other than seeing the famous paintings that you normally see as post cards, I also loved the spacious cafeteria section and its health-conscious food! 3. Old skyscrapers: We visited two of the oldest skyscrapers in detail. The first one was the Rookery Building. My friend Alexandra and her hubby Mark were our guides on this one. This historical masterpiece is considered as one of the oldest highrise buildings in Chicago. 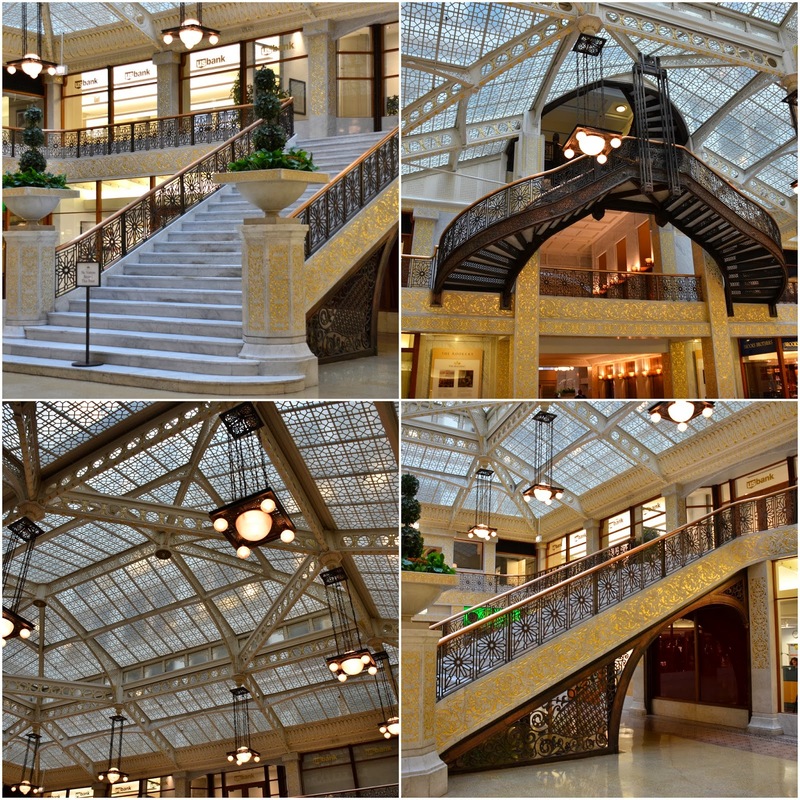 The lobby was remodeled in 1905 by Frank Lloyd Wright. Beginning in 1989, the lobby was restored to the original Wright design. 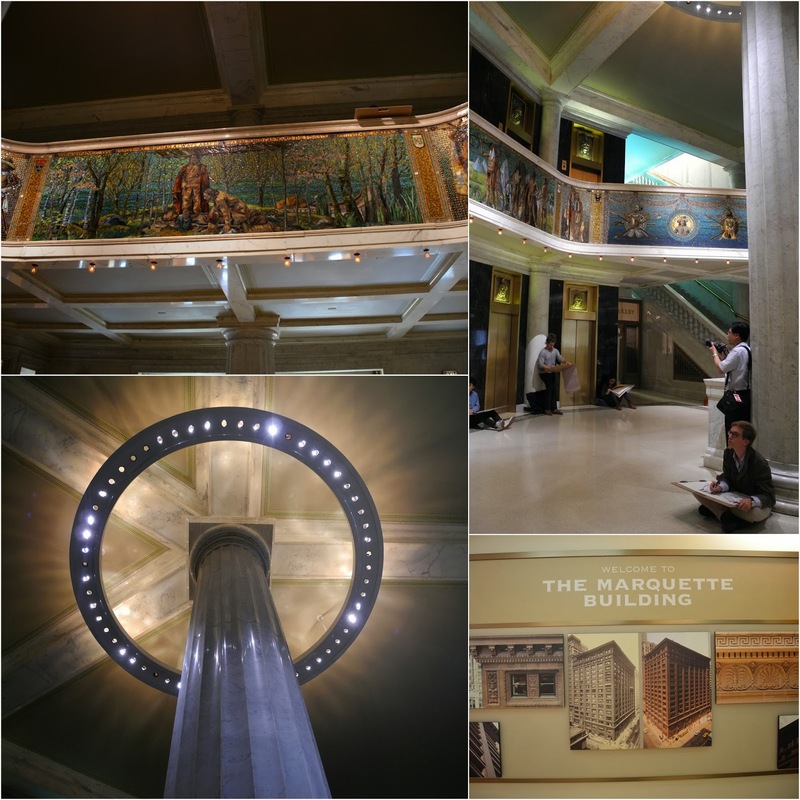 The ensemble of mosaics, sculptures, and bronzes of the Marquette Building entry and interior are quite ornate and detailed. We saw art students doing sketches of the art wall that day. 4. 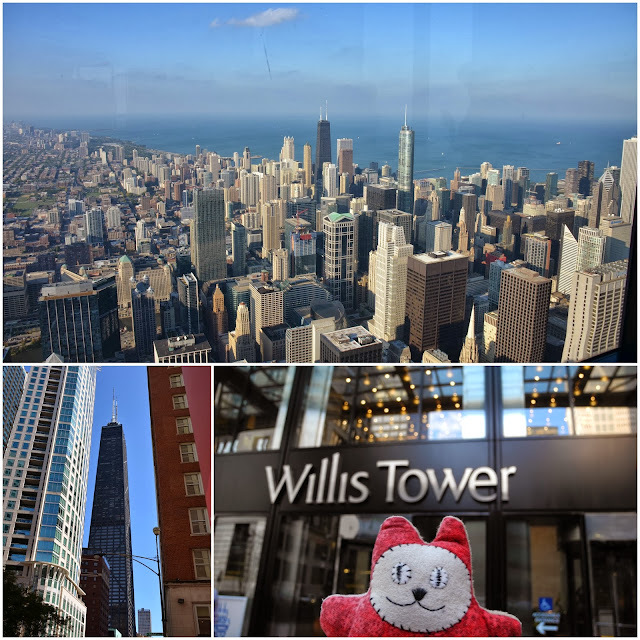 NEW skyscrapers: We were lucky to get a full view of the 108-story, 1,451-foot (442 m) Willis Tower thanks to the beautiful weather. Willis Tower (commonly known as the Sears Tower) is the second-tallest building in the United States and the eighth-tallest freestanding structure in the world. I love the John Hancock Center's observatory on the 95th floor! The John Hancock Observatory allows a 360° view of the city, up to four states, and a distance of over 80 miles (130 km). 5: Famous city landmarks: This modern art called the Flamingo can be seen in the Federal Plaza. And then there is Cloud Gate (dubbed the Bean) in Millennium Park. 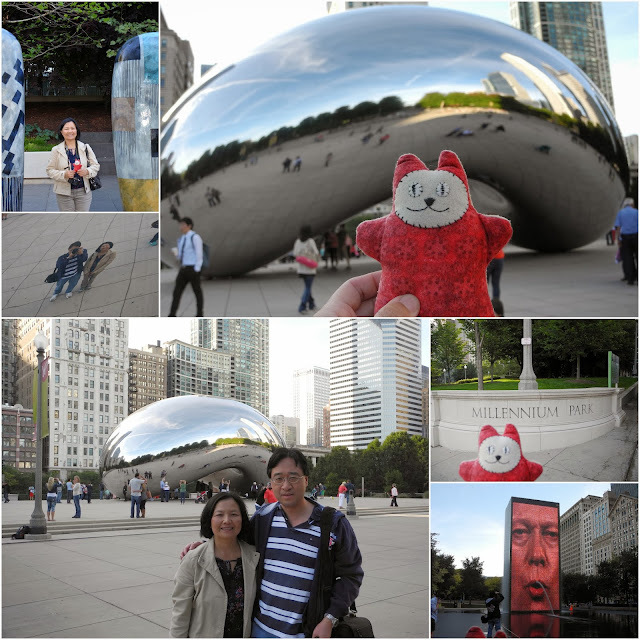 Constructed between 2004 and 2006, the sculpture is nicknamed "The Bean" because of its bean-like shape. Made up of 168 stainless steel plates welded together, its highly polished exterior has no visible seams. Well, that's it for today! I will blog about Part 2....phew, that was a lot of photos to sift through. Crafting Friends Are The Best! 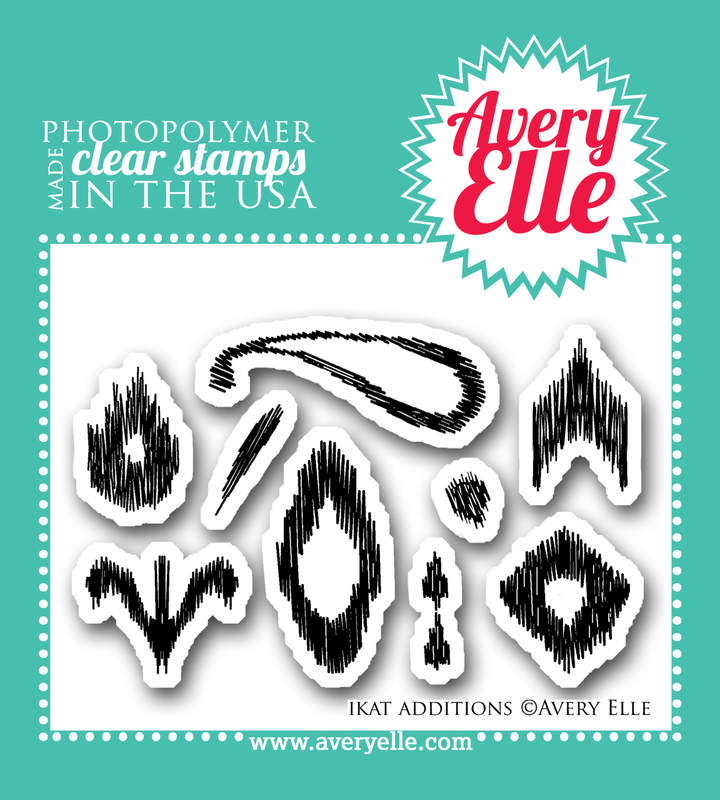 CAS-ual Fridays Stamps--4 Petals Fri-Dies! CAS-ual Fridays Stamps Blog (and a PIE)!